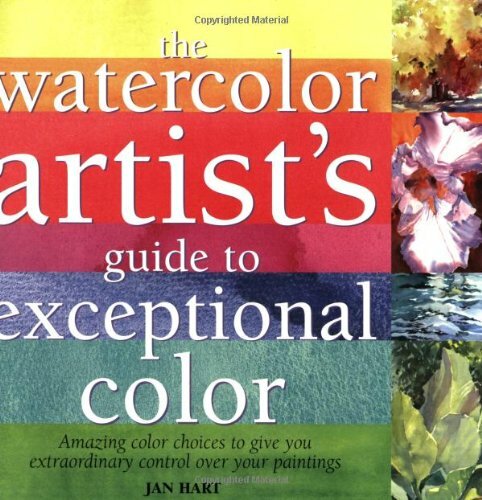 This is a beautiful and useful book dedicated to understanding colours as used in watercolour. It's split into three parts. Section 1 is on understanding pigment properties. Section 2 touches on the colour palettes and schemes. The last section looks at how you can use colours on different subject matters that range from landscapes to portrait drawings. The text is informative and written in a way that's easy to understand. The pages are nicely laid out with beautiful examples from the author Jan Hart as well as other watercolour artists. You can get to check out different styles and the versatility of watercolour. I like that the examples show the many possibilities of using colours, especially on putting colours on subjects that you don't normally associate them with. There are a couple of cool demonstrations on how different colour schemes can produce different moods even with the same subject. There are many tutorials and little exercises scattered around, with lots of tips, ideas and techniques on the different ways you can experiment on your own. This is an interesting and inspirational book. Even if you're not into watercolour, you might have second thoughts after reading this. the pages and mixing swatches do remind me a lot of steven quillers "color choices". its a book on color harmonies for paintings and uses pigment names for illustration mostly instead of points on a color wheel.